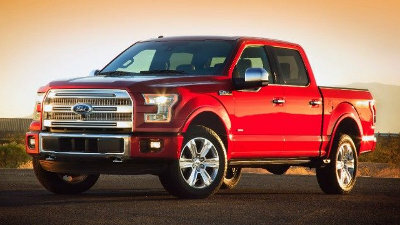 The F-150 is a top-selling truck that is dependable and a good value, but like any vehicle, the F-150 will occasionally need a new part. When that happens, our experienced, courteous staff at Ford Parts on Sale is ready to help you. All our sales representatives have at least 10 years’ experience selling parts for the Ford F-150, F-250, and F350. Whether you contact us online at Fordpartsonsale.com or call us at 585-475-1064, one of our professionals will be happy to help you. We carry only original equipment manufacturer Ford F-150 parts and never cheap aftermarket copies. Our inventory includes a wide range of maintenance and repair parts that fit F-150 models from the 1980s to the current models. Ignition Coils - Whether your F-150 is equipped with a single ignition coil or multiple ignition coils, we will have the replacement ignition coil for you. We also have a large selection of other ignition parts. Power Window Actuators and Regulators - Some F-150 models are subject to power window actuator or regulator failure. That is why you will find these two parts sold together for many of the newer models. We stock these parts, as well as individual parts for the front and rear doors. Front Suspension Parts - Worn front suspension parts can cause your truck to handle poorly and possibly unsafely. Failure to maintain your suspension system can lead to excessive wear on your tires and poor fuel mileage. Shop with us for all of your F-150 parts needs. We trust you will find our website at FordPartsOnSale.com accurate and easy to use. But if you prefer to talk with one of our parts staff, give us a call at 585-475-1064.